Some days it's just too difficult to squeeze a decent post out of your poor, tired brain. Today would be one of those days. 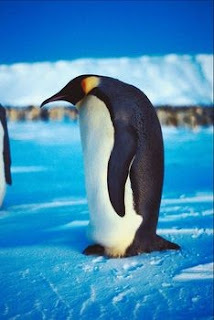 So I'm going to show you a lovely photo of a penguin (courtesy of buzzle.com). Enjoy, and come back for more literate fare tomorrow.